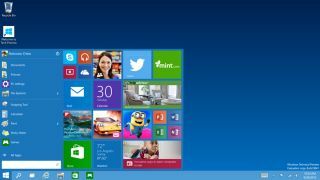 Windows 10 updates could be delivered to your PC in ultra-fast speeds after new images showed Microsoft will allow more download sources to be a part of the Windows Update fun. A freshly leaked screenshot of Windows 10 Technical Preview Build 10036 reported by Hexus.net shows that Windows Update will offer the option to download apps and OS updates from multiple sources that can include PCs on the internet by using P2P integration. Windows 10 users will have the choice to enable or disable this and also whether or not they want to search for updates in PCs on their local network or on both the local network and internet as a whole. It's speculated by The Verge that Microsoft might well be using some of the technology it absorbed back in 2013 when it acquired Pando Networks, the creator of a P2P file sharing program not unlike BitTorrent. Microsoft adding the new update settings is just the latest in a slew of leaks that have shown build 10036's potential features and the list so far includes transparency settings for the Start menu, an updated interface for Wi-Fi, a change to the task view for virtual desktops and a refreshed recycle bin icon. Early Windows 10 adopters still wait with baited breath for news of when the update will actually be released and with the leaks gathering pace we can safely expect that it will be out in the coming weeks.